Kelly Technologies under the guidance of industry experts is now starting a new batch for AWS Training In Hyderabad on this Wednesday. And also, get enrolled into our AWS Free Demo held on the same day. Make effective utilization of these opportunities and boost your career into a prolonged success path. Interested in securing a career in AWS? Get enrolled now for the free demo session on AWS Training supervised by experts at Kelly Technologies scheduled on 20th March, 8 AM. 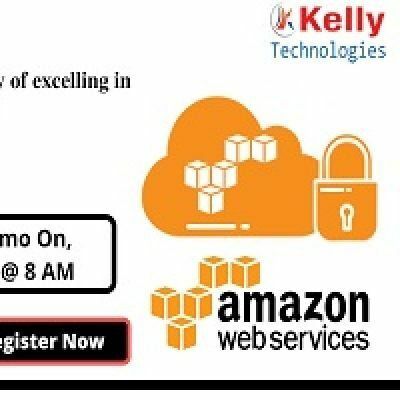 AWS Free Demo by the Kelly Technologies is “must to attend” for all those aspirants who are all seeking for career opportunities in any of the most prospering career field. This course is meant for both the working professionals and job seekers. At this demo experts will be clarifying the doubts regarding AWS career field and also aspirants will be given a brief introduction regarding our Kelly Technologies career program offering AWS Training In Hyderabad. Who Can Attend This Free Demo On AWS? Anyone having an acute desire in taking up the professional role of an AWS Professional is must to attend this demo and get enrolled into our AWS training program. Also, IT professionals, graduates, PG holders, job seekers and as well as students can make avail of this career enhancing opportunities. · Interactive session with the best experts in the field of AWS. · Getting a clear view regarding the effective roles and responsibilities of an AWS professional. · The detailed information regarding the job opportunities and scope of career in this field. To attend this free demo session on AWS training without fail scheduled on 20th March, 8 AM by Kelly Technologies in Hyderabad.